Vintage Old Indian Colour Postcard. India. 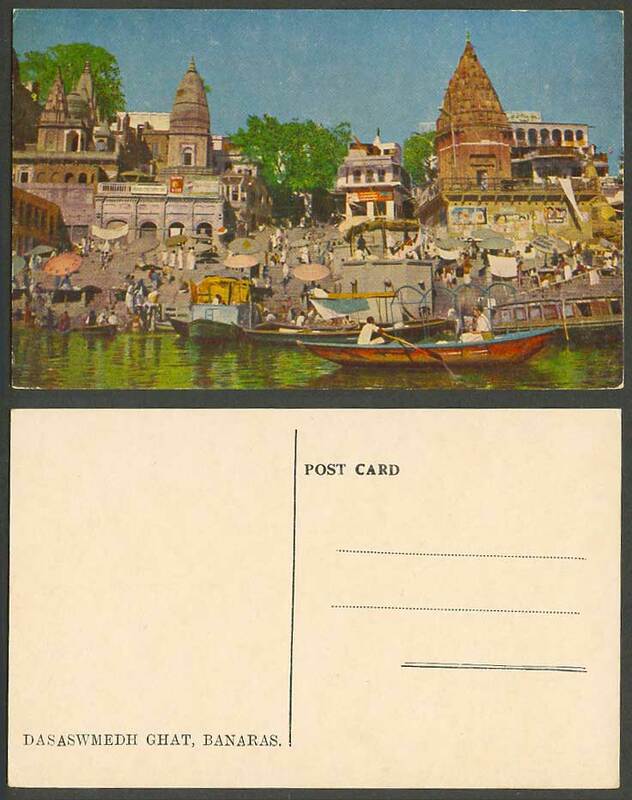 Dashashwamedh Dasaswmedh Ghat Benares River Scene, Temples Towers Boating Boats.